Pictures can be taken directly through the app or selected in the gallery. 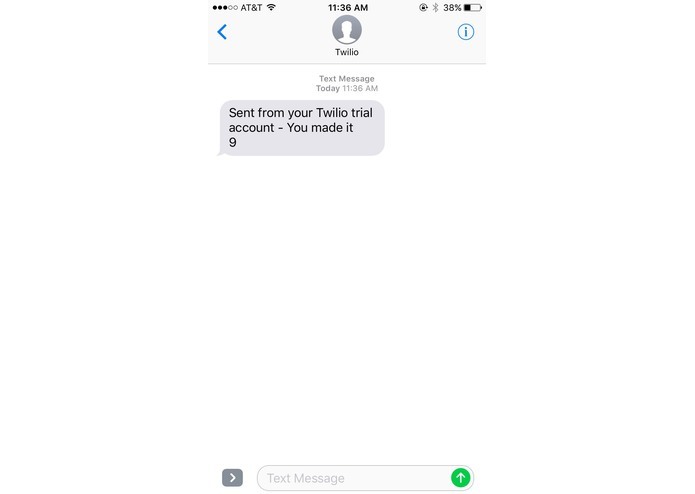 You get the result of your code texted directly to you! 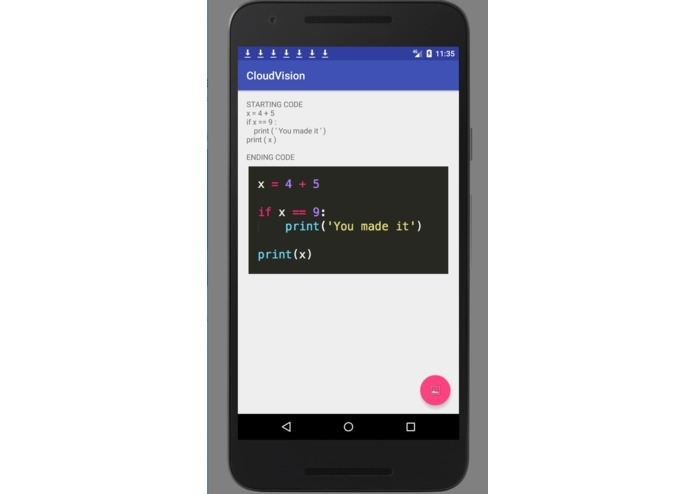 We thought it would be pretty cool to be able to hand write some code and run it simply by taking a picture with a phone. You take a picture of Python code and you receive a text with the output. Implemented Google Vision and created the android client. 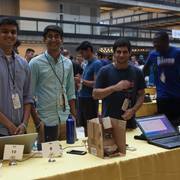 I handled all the AWS stuff and worked on the Python backend.